For those of you who may already be connected with me through social media or any other means, there’s a good chance you have heard a bit about some of my big changes and new ventures for 2016, with one big one in particular – And for those of you new to my neck of the woods, here you go too! 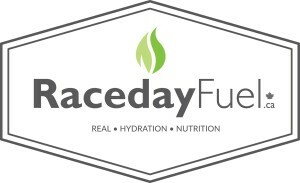 I was super excited earlier this year to be able to announce my new combined partnership with Colorado based Skratch Labs, and Toronto’s own Raceday Fuel. Skratch Labs is on the rise quickly across the U.S. and is now picking up the speed in Canada. After almost a year of testing hydration mixes and supplements, they have become my go-to for an alternative to regular water, and a nice pick-me-up in the field or day-to-day when I need an extra boost. I’ve found a lot of products that do show great effects for me, but, these guys take the cake (and the cookie!). So. I’m thrilled to be able to work along side them and carry the flag for what they are doing. Raceday Fuel is my link over the boarder to Skratch Labs. Based in Toronto, these guys are a great resource for hydration and nutrition products for a lot of cool different brands, like Nuun, and Thinksport. They are a major distributor for Skratch Labs in Canada, and they have been great to work with! I highly recommend checking both of these guys out if hydration and nutrition are something you are interested in. Whether you are just leaning and exploring, or interested in testing out different products and looking for a switch. Raceday Fuel has been generous enough to provide me with a “Friends & Family” program for anyone looking to check out what it is I’m rambling on about. If you are interested, have at it! Just go to racedayfuel.ca, place an order and at checkout, use discount code philipq10 and you’ll get 10% off your order. Also, they have free shipping on orders over $99! I’d love to hear what other folks are using or trying these days, or, if you do try out Skratch Labs gear, let me know what you think! Leave a comment, or email me through my Contact page.